This past Spring, my boyfriend and I took a trip across Europe in celebration of him graduating and getting a new job, along with my need to explore. Over the course of nearly three weeks, we explored five countries, eight cities and their surrounding towns and parks. It was an ambitious trip, and we were exhausted by the end, but I wouldn’t have traded it for the world. All Travel Logs focused on the trip will be linked with #Akron2Europe. I’ll also provide some small tips that helped make our lives easier. Amsterdam, with its winding canals that crisscross the city, has a sort of charm that I don’t think I appreciated as much while I was there. 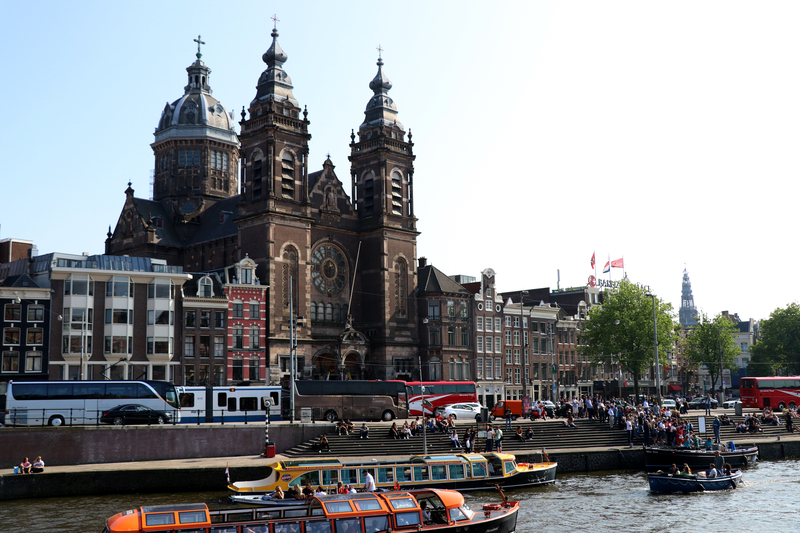 Starting as a 13th-century fishing village, Amsterdam has grown into a major hub for business, culture, and tourism. Much of its characteristic cityscape developed in the 17th century, during the city’s Golden Age. Towards the end of this age, the Dutch Republic was under attack by both the French and English, but still remained an important hub and financial centre of Europe. Today, the city is known for its extreme tolerance. My fellow LGBTQ friends will find themselves right at home here. This city is home to some of the most famous museums and artists in the world. Does the name Vincent Van Gogh sound familiar? Its language has Germanic roots and, similar to Ireland, I don’t think I realized how expansive its use was. I always thought of Netherlands as a country where most people spoke English. I know how foolish that was of me to assume but I’ve learned my lesson. This was the moment when it settled in that we were in a completely different part of the world. 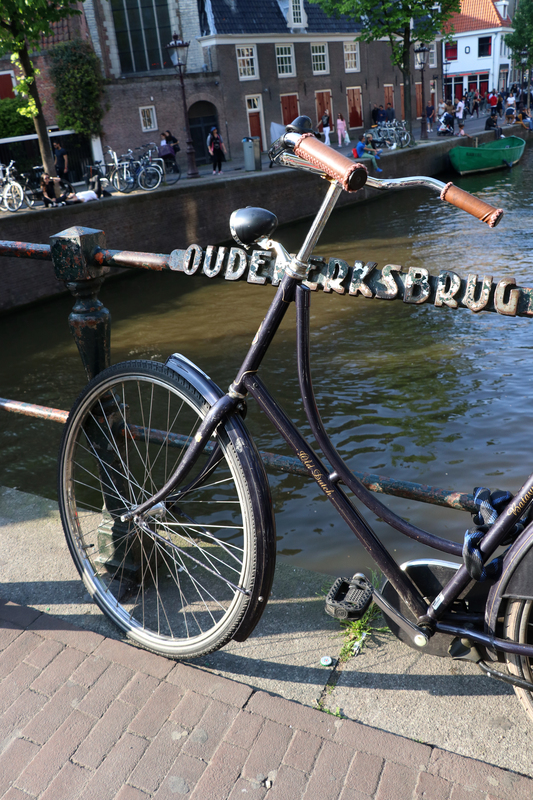 The most diverse city in Europe, Amsterdam boasts over 180 different nationalities and is 45% ethnic minorities. Because of this diversity, we blended in fairly well and many people who approached us spoke in Dutch, which was a bit jarring. We had an incident where we had to wash clothes in Zaandam and we went to a laundromat where none of the employees spoke English. We had to use non-verbals and, with the help of a customer who spoke patchy English, we were able to get our closed washed, dried, pressed, folded, and packed for 16 Euros! This is the first city where we actually got a chance to try out their public transportation system. Taking the Sprinter train from the airport to Zaandam was one of the smoothest experience I’ve had while transporting luggage. We stayed at the Easy Hotel Zaandam, a budget hotel that gives you the bare essentials, but it was clean and simple for what we needed (and later I’ll talk about why I’d probably not choose this hotel again event though it was a good experience). 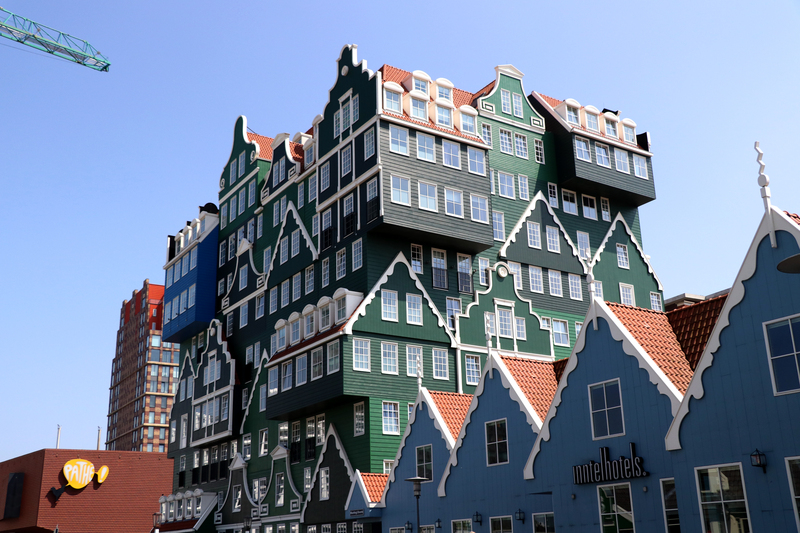 Zaandam is a city on the Zaan river in North Holland next to Amsterdam. The architectural style is incredibly funky when you step out of the train station. You could tell that this was a shopping centre and overall isn’t a very exciting place to be. Many of the restaurants close early and we ended up arriving during Pentecost Sunday and Monday which hindered a lot that we could do. Needless to say, we didn’t stay in this area very long on any given day. 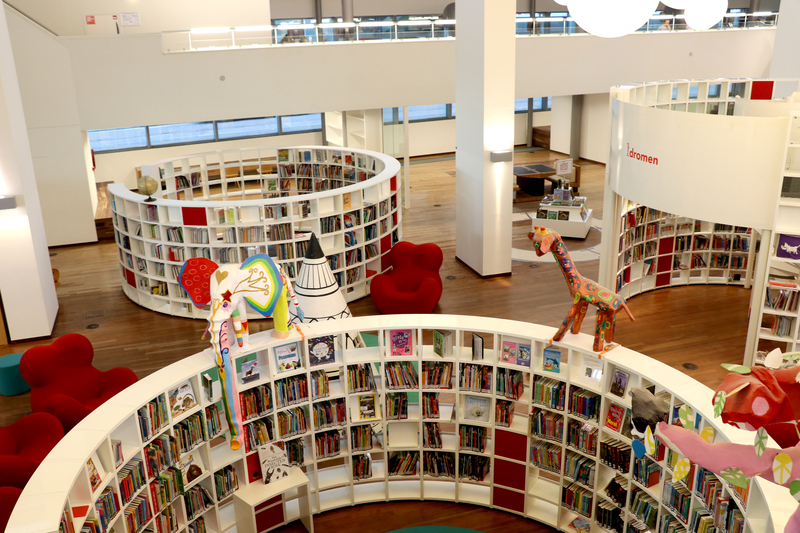 The Openbare Bibliotheek (Amsterdam Public Library – Central Library) was one of my favorite stops in the city. The towering library reminded me of Seattle’s Main Library with its large glass windows, clean aesthetic and pops of color. The dim lighting and backlit shelves in certain areas were an interesting choice and made me feel like I was in a cozy cavern. I found the comics section relatively quickly and I weaved my way through the shelves chuckling as I flipped through Calvin & Hobbes, not understanding a word of Dutch. 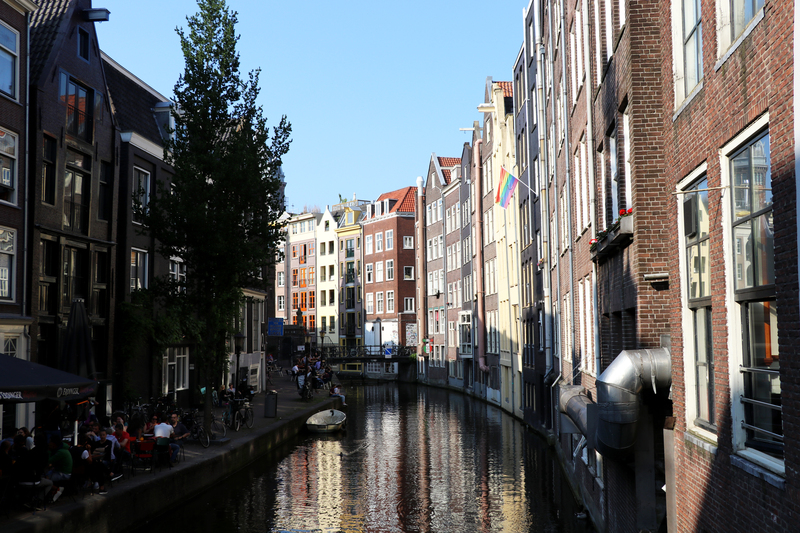 Most of the days in the city was spent wandering the canals and I will admit that I did not enjoy my time in the Red Light District. I was disheartened to find that a lot of the shop windows sat empty and people were gawking at the women who where there. I understand the attraction of the area, but I wish that it was less of a spectacle. Everyone has to make money somehow. I was thoroughly impressed with their biking culture. 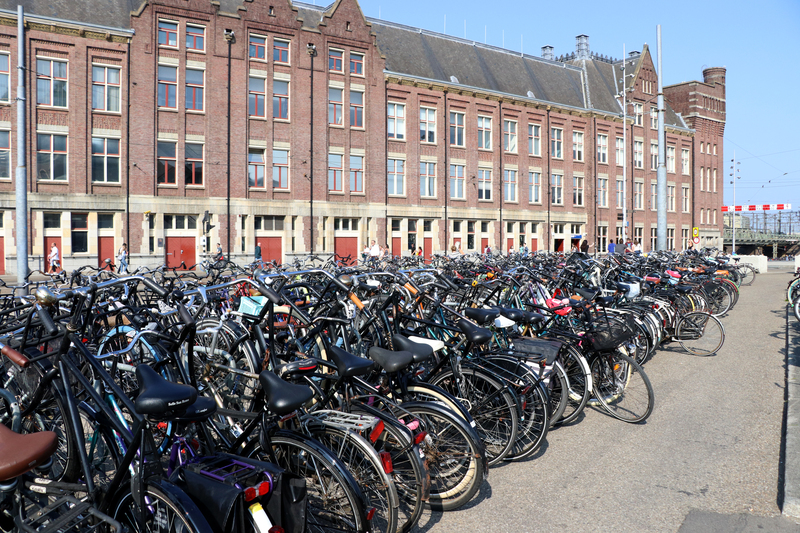 Approximately 58% of people in Amsterdam over 12 cycle daily and the city has nearly 480 miles of cycle paths crisscrossing the city. Many of these paths are separated, elevated cycle tracks, and they’ve used the physical landscape to force drivers to conform to the set speed zones (30mph and 18mph). These traffic-calming elements like narrow streets, speed bumps, and textured pavement pepper the area and not once did I feel like I would get hit by a car. A bike, on the other hand, is a different story. In my line of work, we often point to cities like Copenhagen and Amsterdam as examples of how biking can be a viable transportation option. This frame of thought is fine as long as we make sure to balance it out with the realities we face in American cities. Both Amsterdam and Copenhagen have not only undergone a cultural transformation, but also a physical one that has taken decades to accomplish. These cities are also very flat. When approaching building a bike network in a hilly, Rustbelt city like the one in which I live, we have to provide different solutions to address these different obstacles. I’m not saying that it can’t be done, but we have to think creatively about it and work with those who, despite the barriers, are already cycling regularly. As an artist by nature, I cannot not stop by the area’s art museum. This bold, beautiful building took my breath away. 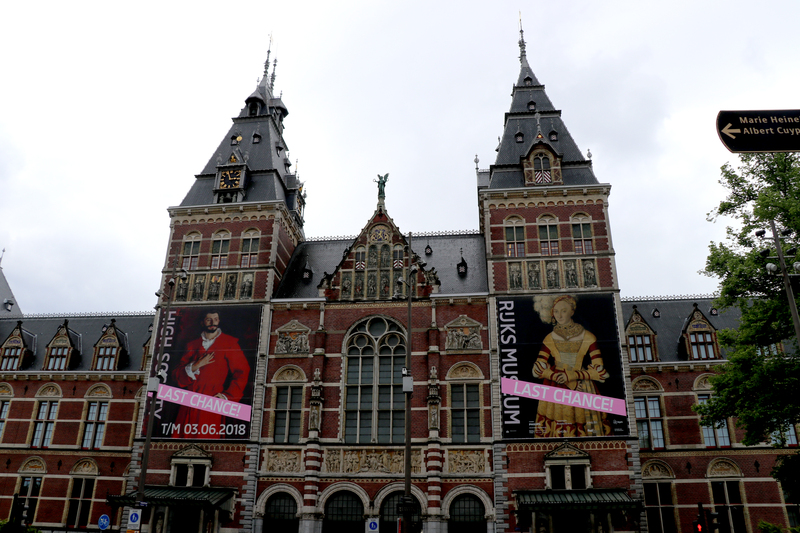 Rijks Museum is the Dutch national museum lated in Museum square. It was 17.50 Euros per person (set to increase to 19 Euros in 2019). 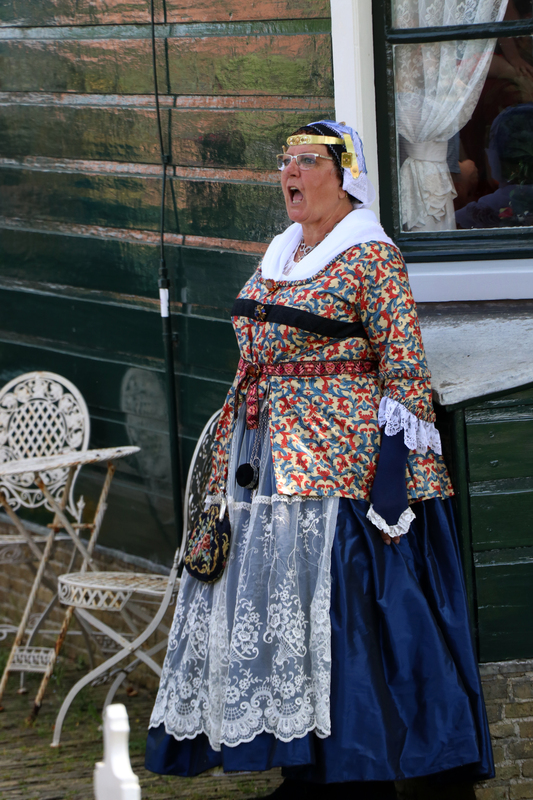 It features many of the greats including Van Gogh, Rembrandt, and Vermeer, but also some stunning costumes, wood work, and ceramics. I could take two days to explore this place and probably barely scratch the surface. I find it very interesting how curators organize exhibits and what stories they wish to tell about the history of a place. When I decide to go back, I’m going to spend more time exploring Museum square. On our way back, we did stop into a couple shops and an art gallery that was showing Banksy’s work. It was really cool to see their work in person after hearing so much about them and seeing them used through memes across the internet. 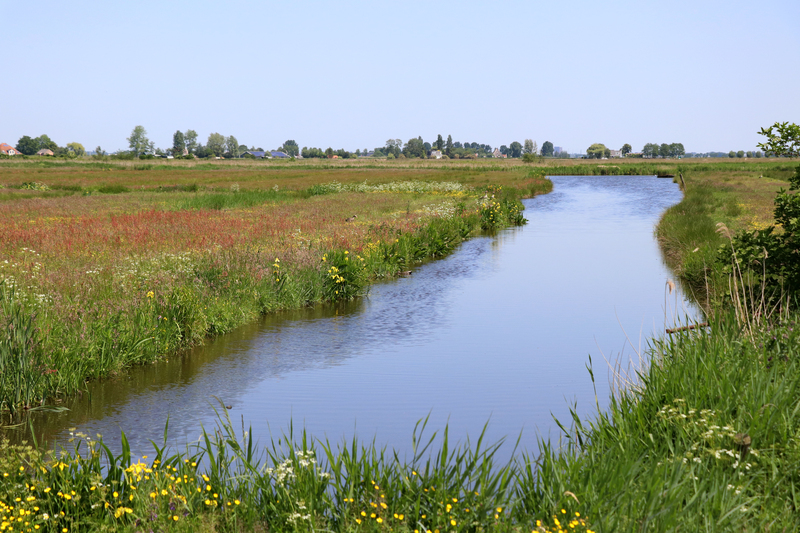 Pivoting a bit, the Dutch countryside is a site to behold. 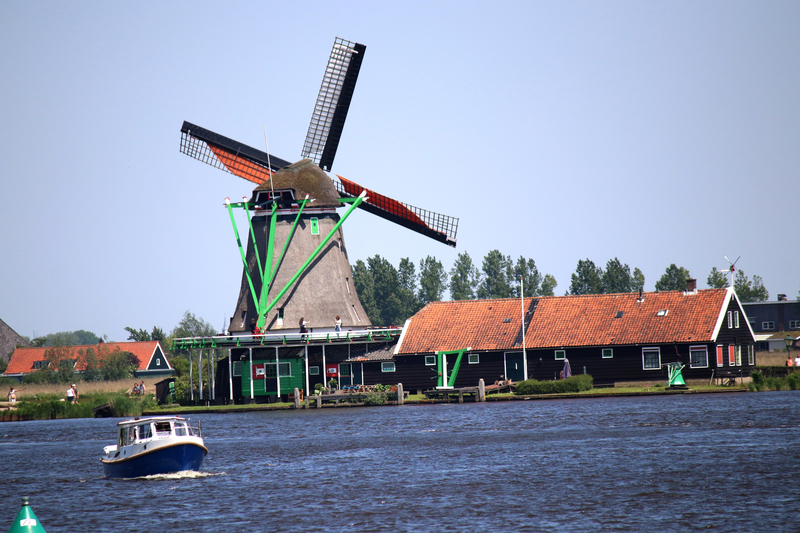 We took a quick jaunt out to Zaanse Schans to see the windmills and try some of their incredible chocolate. 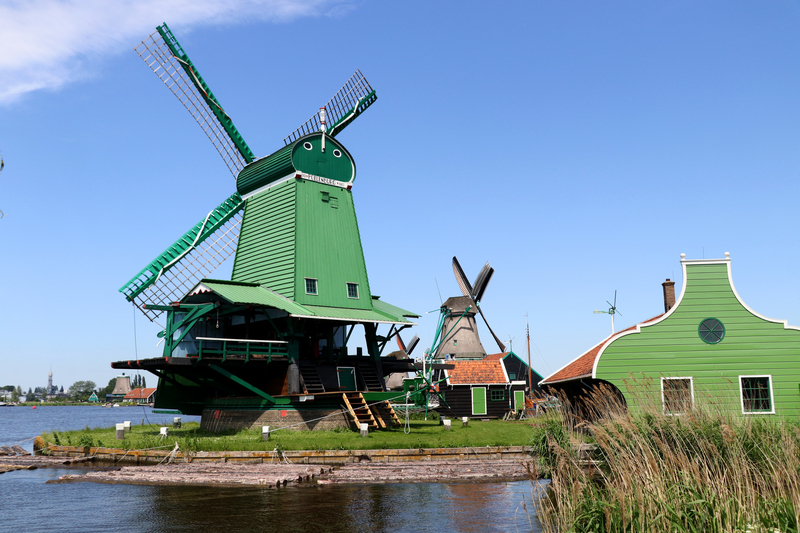 This neighborhood in Zaandam features historic windmills and houses from the 18th and 19th century, as well as many handcraft shops and museums. It is, without a doubt, a tourist destination, but if you’re only in the area for a few days and you want a taste of the countryside, this is the place to go. The main portion of the neighborhood smells of roasting chocolate that can be a bit overwhelming if you’ve never experienced it before. 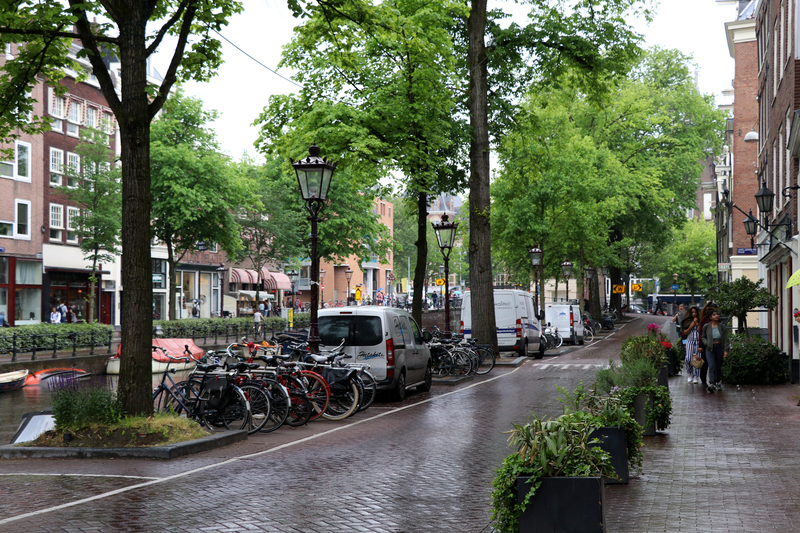 There are shops and residential areas that fill the space and people zigzag through the streets on bikes. It’s honestly very chill. We had a pleasant meal at a small shop that we quickly found out only took Euros (and Discover! 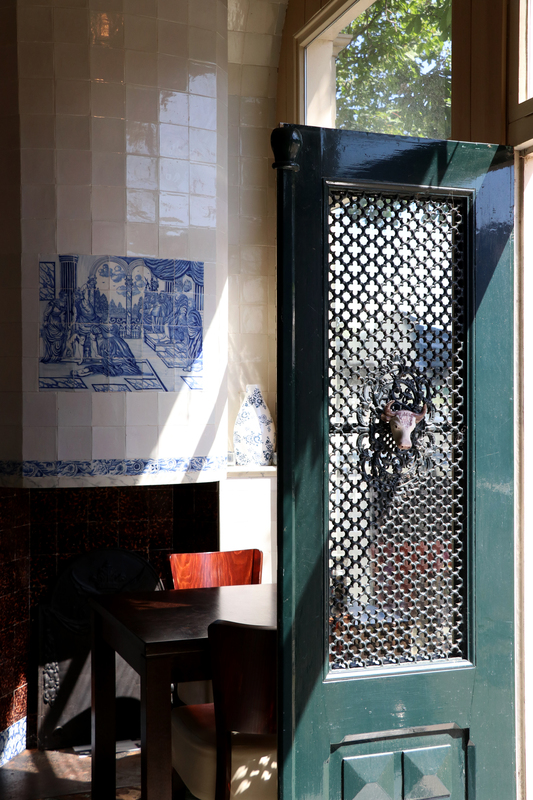 ), but had some of the best coffee in the area (luckily we carried just enough). It was early so we were the only two inside the restaurant, but the outdoors quickly filled up. Across the bridge is a recreation of a historic village featuring the actual 18th and 19th century windmills that were moved down the waterway to this area. 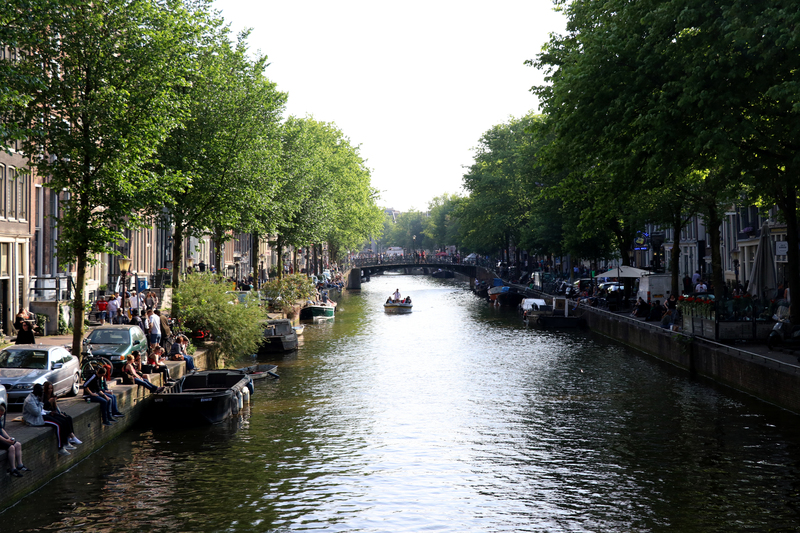 After a short stroll along the path and taking in the scenery, we took some time to relax by one of the canals. This felt like the first time we truly stopped moving during the whole trip. I can still feel the way the stress melted off my shoulders and I sighed in contentment. There were a lot of laughs and a lot of exhausted moments by the time we made it to Amsterdam. We had been on the go for nearly five full days without rest and I believe that it may have colored my opinion on this place initially. When rating all the cities we’d visited, this ranks pretty low on the list, but with a few adjustments, I would be willing to give this place another try. I want to leave you with a few suggestions for those who want to visit. 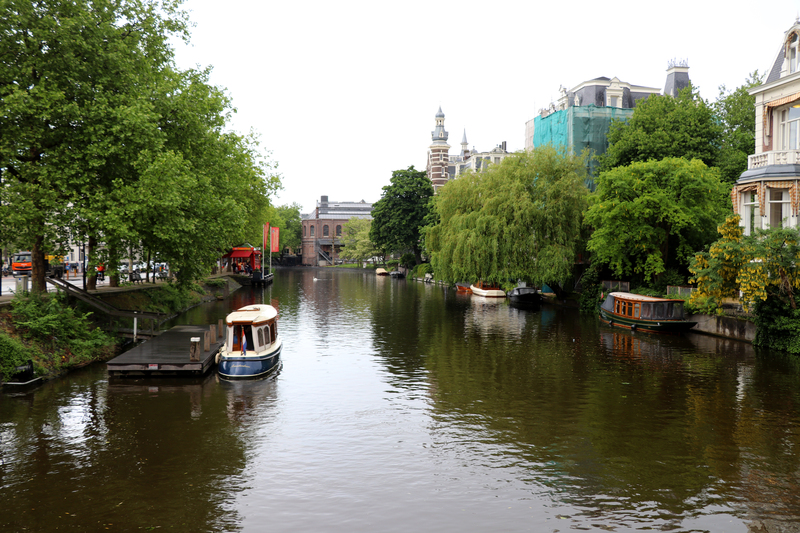 Stay in Amsterdam; trying to be frugal and staying out in Zaandam was one of the first mistakes we made. When booking the hotel, I didn’t realize how long it would take to get into the city, so it hindered a lot of what we could do there. Stay longer; I’d recommend giving this place at least five to seven days to truly appreciate it. I wish I had given this place more time to grow on me because looking back, it was a unique and cool experience. Lastly, I do not understand the obsession with mayo and fries. I will never get it. I don’t want to get it and I hate every second of it. Same goes for hotdogs. No thank you. Thanks for your article. I would also like to remark that the first thing you will need to do is determine whether you really need credit score improvement. To do that you must get your hands on a copy of your credit report. That should really not be difficult, considering that the government makes it necessary that you are allowed to obtain one no cost copy of your real credit report annually. You just have to request the right folks. You can either browse the website for your Federal Trade Commission and also contact one of the leading credit agencies specifically.